Nana’s Cookie Company makes some seriously awesome cookies. Not only do they taste amazing, but they’re also free of many common food allergens. You won’t find any dairy, eggs, casein, wheat, corn, or even soy in these bad boys. Oh, and refined sugar? Not in Nana’s! They’re all sweetened with natural fruit juice. Woo! 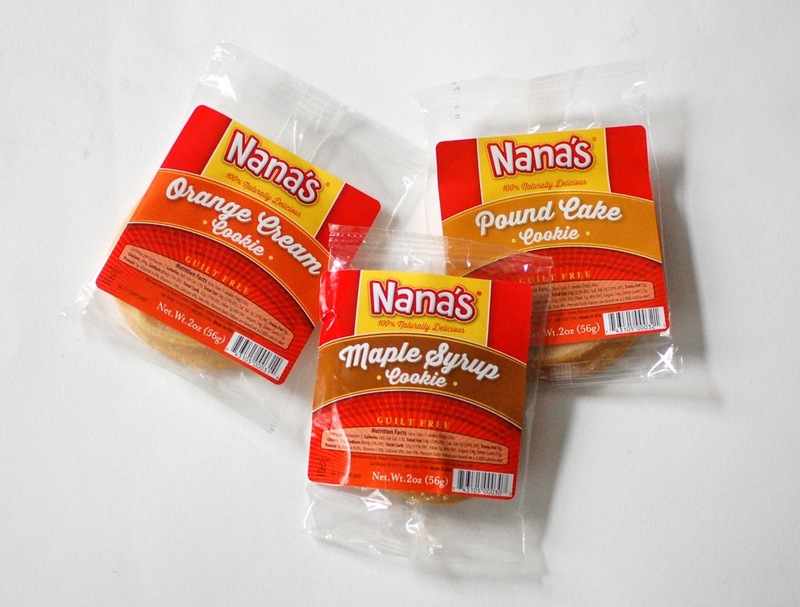 Nana’s was kind enough to send me 3 of their new “Next Generation Cookie” flavors to sample: Maple Syrup, Orange Cream, and Pound Cake. Mmm! Next, I tried the Orange Cream cookie. This tasted like a Creamsicle in cookie form. Since Creamsicles are far from vegan, this was a nice treat. Oh, and I should have mentioned before that the texture of these cookies are perfect — moist and dense. Definitely a satisfying snack. Nana’s is having a special one day sale that ends tomorrow — so act fast if you want to take advantage of it! The following cookies are all 25% off AND you can get free shipping when you enter the code “CHOCOLATE2014” at checkout! Disclosure: I received the products above for review purposes. I was not compensated in any way. All opinions are my own. We’re so glad you liked them, Wendy! You pictures look beautiful too! Thank you!